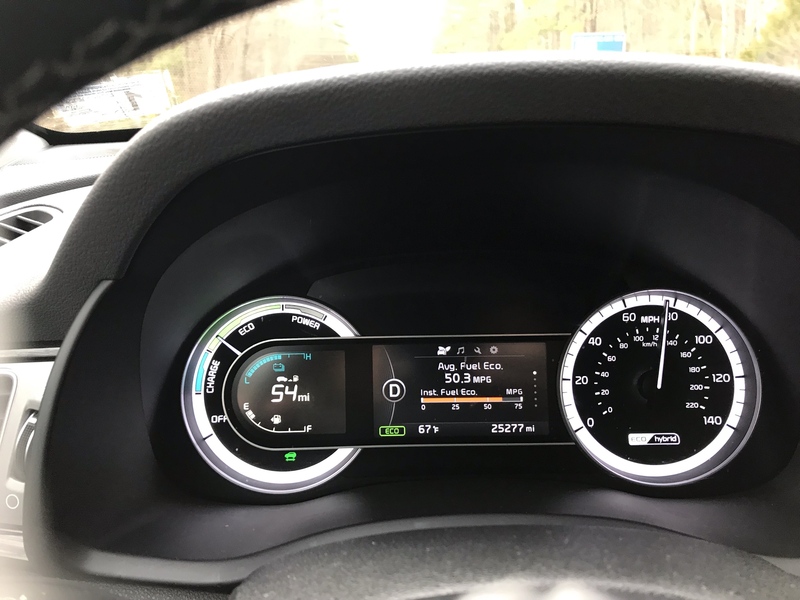 Kia Niro Forum > 2017+ Kia Niro Forum > Kia Niro MPG And Fuel Economy > First week impressions, happy. I've had my 2017 EX for a week now. 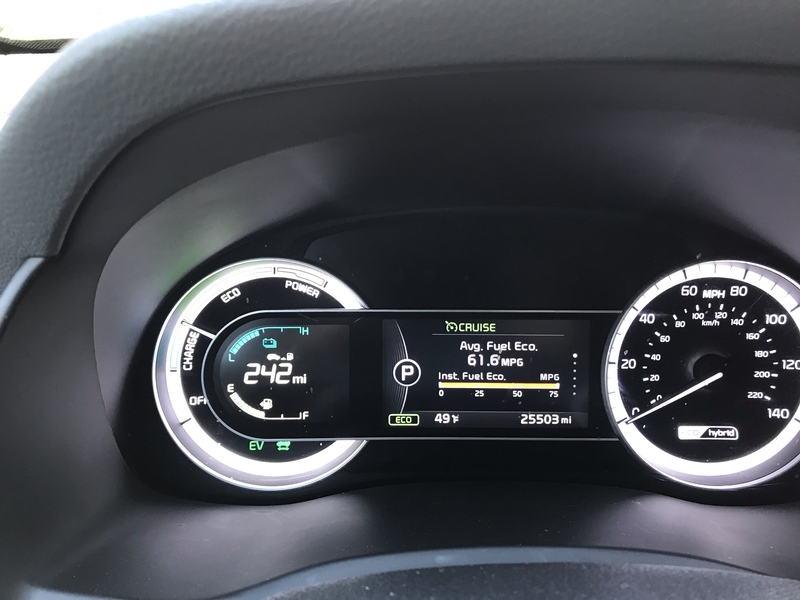 I'm really impressed with the highway mpg. I'm getting well over the rated 46mpg. 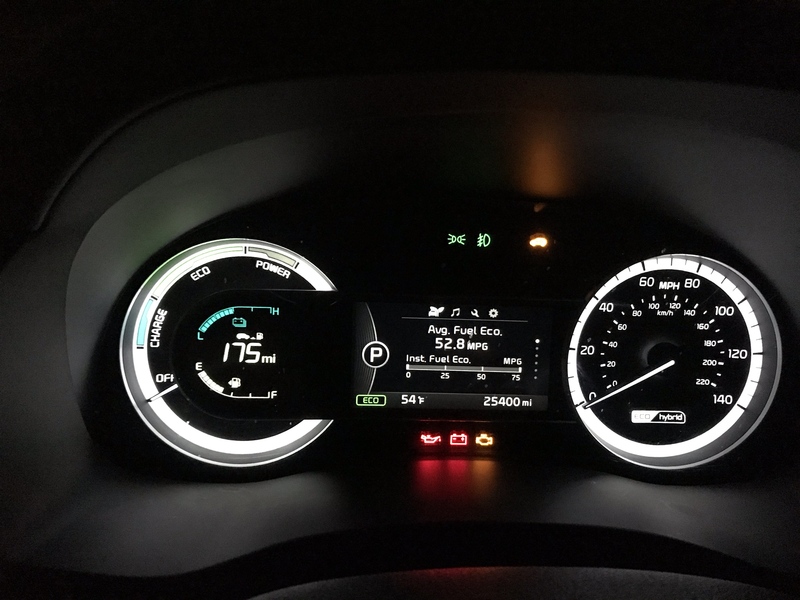 On my way home from the dealer in Norfolk last Sunday, after we had dinner at Exit 92 on I95, I had the dash report 52mpg for the last 80 miles (it reset on start-up there) of mostly highway driving. The DTE gauge went down only 13 miles. My dad and my sister both tested the car around on the local back roads and by the time they were done we were sitting at 55mpg. After resetting it on the way home I got 58.8mpg. Around town I haven't gotten the handle on hybrid driving totally, but I'm getting around 45-48mpg. Coming from the Crown Vic getting 14-16 around town, I'm happy as a clam. lafe005 and padonion like this. Another 54 mile round trip to my parents today, I filled up and reset the MPG last night, I had 65.2 on the average MPG readout at their place, and 58.3 (peddled faster) when I got home w/o resetting it in the middle. I haven't even taken one pip off the fuel gauge yet.